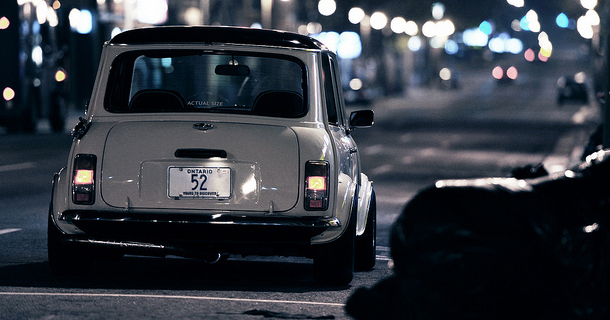 Yes, you read that correctly, a 1JZ in a Mini. 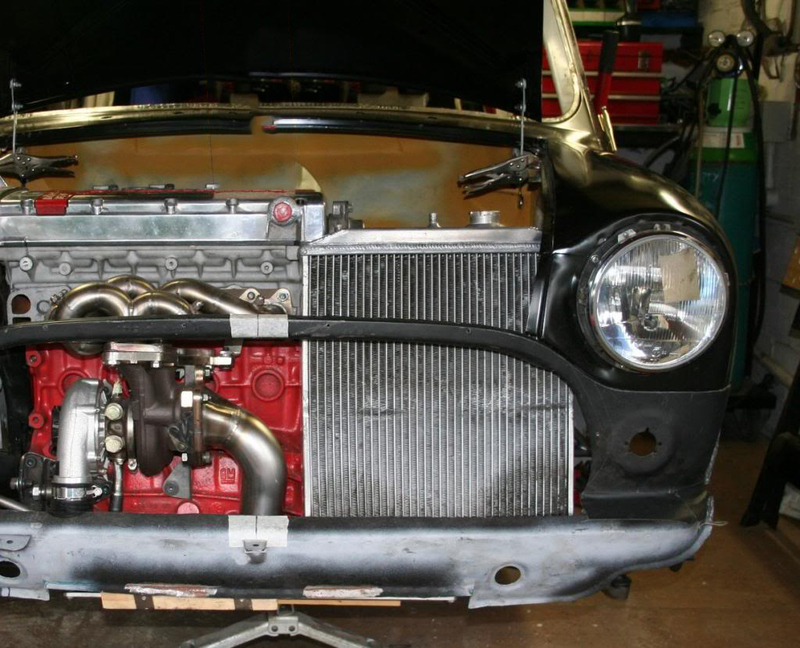 A 1JZ…in a Mini. I don’t know what is causing the recent influx of Mini’s here lately, but this is the 3rd one I’ve featured in as many months. 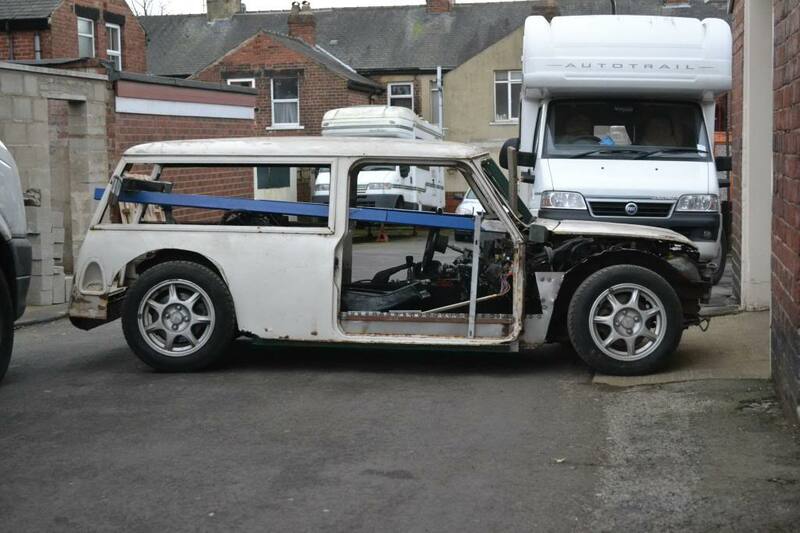 To be honest I don’t like featuring similar cars in close succession, and this build is still a fair way off completion, but there just wasn’t any way I could hold off on showing you this one any longer (plus the only thing ‘similar’ to the other ones is what’s left of the body shell!). 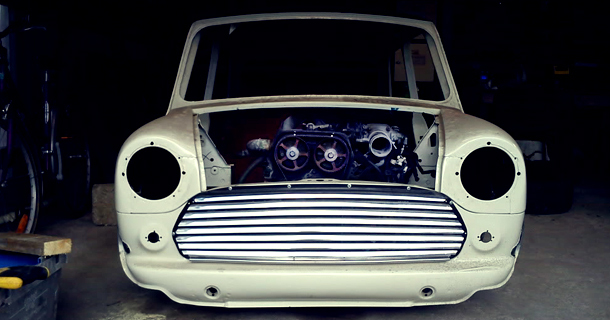 Did I mention this Mini has a 1JZ in it? 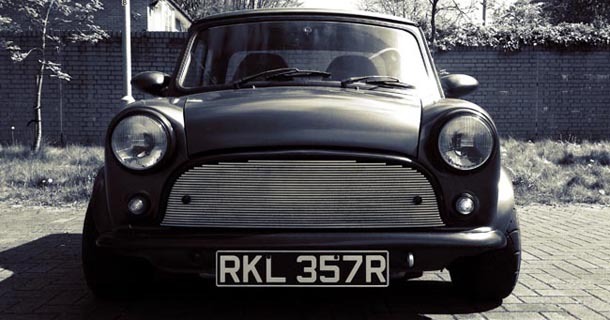 What do you do when your classic Mini no longer provides you with enough forward velocity to quench your desire for speed? Well you could supercharge it, but what if you’ve already tried that route? 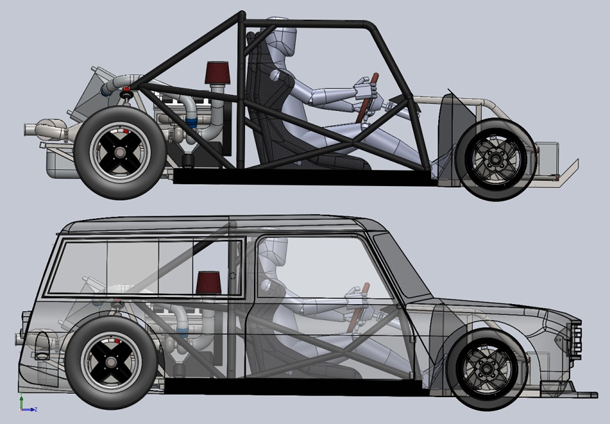 How about getting your hands on an aftermarket subframe conversion kit and slotting in a DOHC Honda B18C? Thanks to Michael from JDMST for submitting. For more Mini builds, click here. Car magazines have been a long-time love of mine. 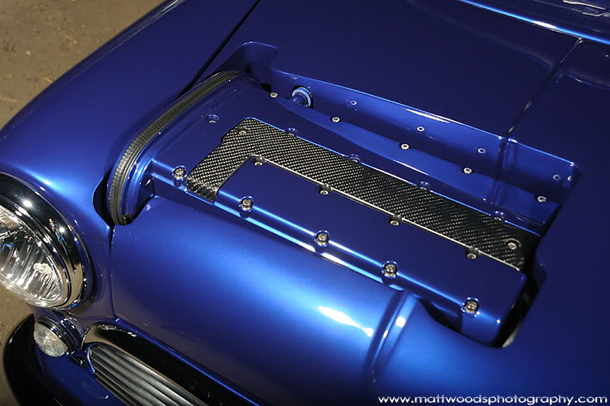 From a very, very young age I have thoroughly enjoyed flicking the glossy pages and seeing all kinds of custom cars in print, it has a certain feeling that the internet just can’t reproduce. But as good as magazines are, they leave a few voids, and one of those is that due to their limited space they only show you the finished product of a car. If you’re reading this, then like me, you want to see how a car was built. 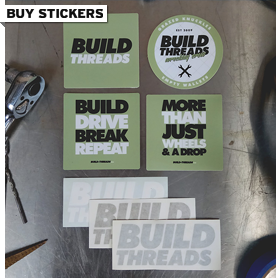 Every now and then the correct planets align and during your online browsing you manage to stumble across the build thread of a magazine feature car. That’s exactly what happened to me the other day during my daily perusal of STANCE|WORKS. 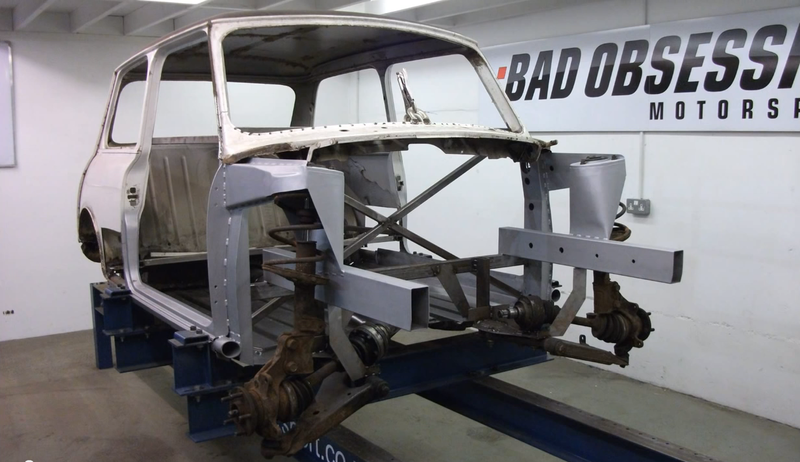 I recognised this Mini instantly as the cover car of an issue of RetroCars I have at home and couldn’t wait to dive into it to see how the little “brick” was pieced together. If you’re anything like me (which, if you’re reading this, you probably are), then you love watching car videos online. The only annoying thing is trying to find them, because let’s face it, navigating YouTube can get tiring after a while, there’s only so many times I can handle watching videos that are NOTHING like what the thumbnail and description makes them out to be. That’s where Autos in HD comes into the picture. 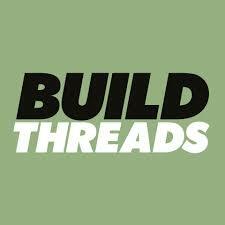 Much like Build-Threads gathers up all your favourite builds from around the ‘net and posts them in one convenient place, Autos in HD does the same thing with videos. 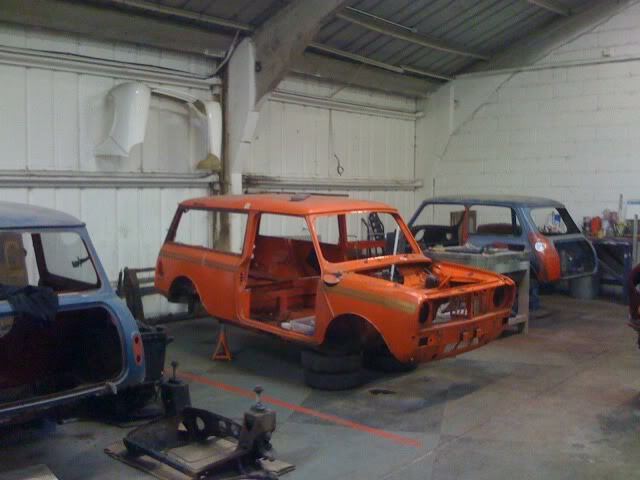 Here’s two to get you started, focusing on builds of course…click to view.